No matter how wrong she is on a host of issues, Texas State Board of Education candidate Mary Lou Bruner probably thinks she really would help Texas children get the best education possible and go on to succeed in life. Here’s the problem: She cares more about pushing her own bizarre political agenda. She’s a partisan ideologue. Here’s the even bigger problem: She’ll read something, or is told something by some random dude, and — if it fits her political agenda — she’ll run with it, no other fact-checking necessary. That trait was on display earlier this month when she told a group that teacher shortages were such a big problem, that the Lufkin Independent School District had started the current school year with a shortage of 91 qualified teachers that was being filled with full-time substitute teachers. The Lufkin ISD superintendent, who happened to be in the room and would know these things, assured Bruner that the district had a full slate of qualified teachers. Bruner countered that she knew the district was short 91 teachers when the school year started because some random dude living in Lufkin ISD told her that was the case. 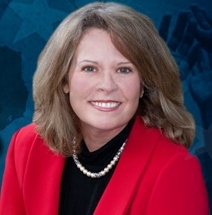 Controversial Texas State Board of Education candidate Mary Lou Bruner is upset at the media. But not just any media. While it’s not unusual for politicians and activists to blame the so-called “left-wing liberal media” for just about everything, Bruner is, surprisingly, upset at the uber-conservative news website Breitbart. The tiff between Bruner and Breitbart writer Merrill Hope includes an accusation that the Republican running in SBOE District 9 released Hope’s private cell phone number on Facebook. Bruner is now one of two Texas Republican hopefuls headed for a May 24 run-off race for the Texas State Board of Education (SBOE) District 9 seat. She threw what many would call an online tantrum and posting this reporter’s private cell phone number on Facebook.